The Gifu Great Buddha is 13.7 meters tall, with ears 2.1 meters long and nose 0.4 meters high. 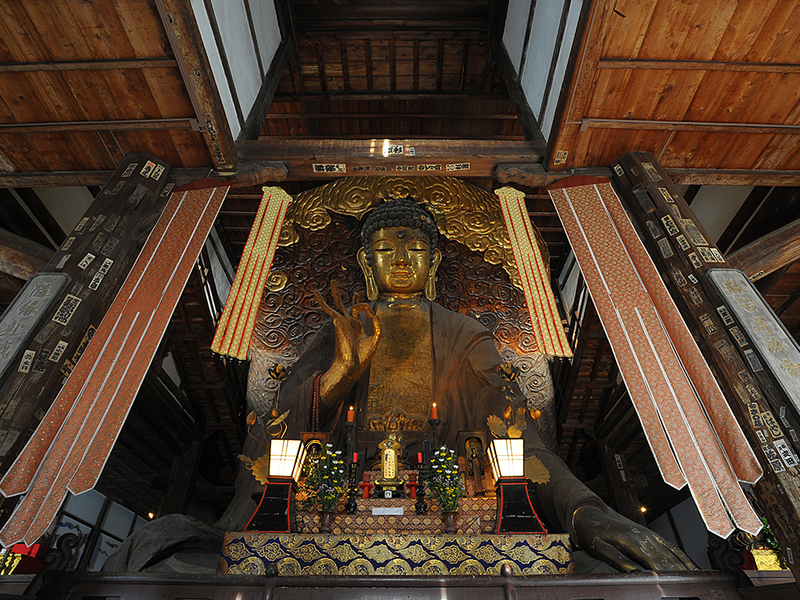 Along with the Great Buddhas at Nara and Kamakura, it is one of the three great Buddha portrait statues in Japan. 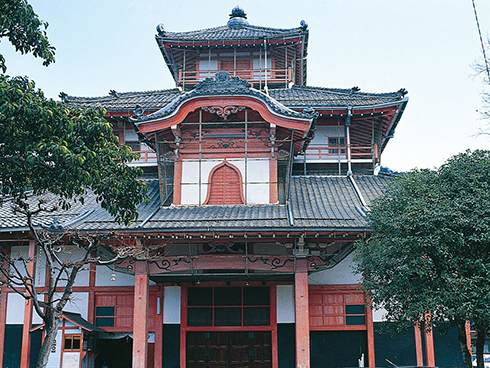 It was finished in 1832, during the Edo Period (1603-1868) after 38 years of construction. 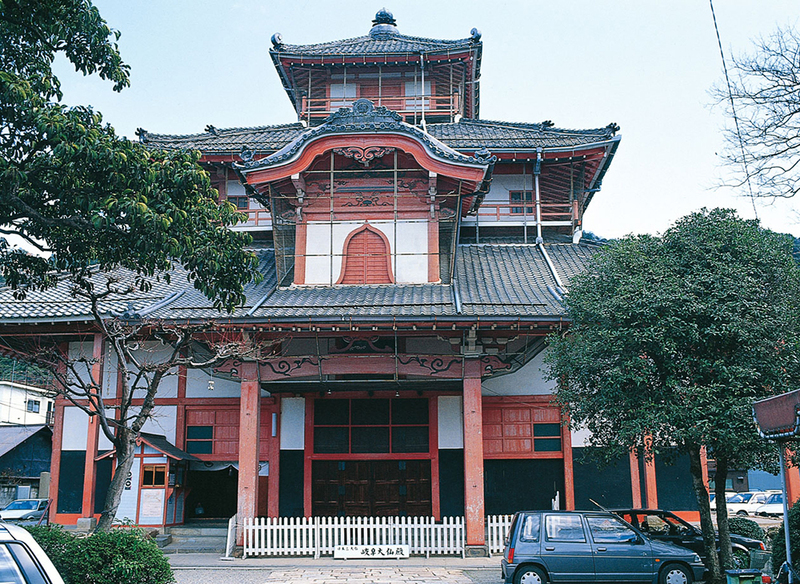 It is designated as an important cultural asset of Gifu prefecture. The construction technique used for the statue was to first make molds with wood, bamboo, and clay, then layering the molds with Japanese paper decorated with Buddhist sutra, a second layer of Japanese lacquer, and a third and final layer of gilding. This is the largest statue in Japan constructed by this technique. It is known and loved as the "Basket Buddha," because of its woven bamboo framework, which resembles a basket. The serene and dignified Buddha smiling down upon his visitors makes the hall a healing and soothing space. Syobo-ji Temple is a branch temple of Uji Manpuku-ji Temple of the Obaku sect. You can observe the Chinese design influence in its architecture and ornamentation. Gifu Bus "N80 Bound for Takatomi"
Get off and walk 5 minutes. Copyright (c) Gifu Convention and Visitors Bureau All Rights Reserved.